Attention Veterinarians! The 9th Transgenic Technologies Meeting (TT2010) has been approved by the German Federal Veterinarian Association (Bundestierärztekammer) as educational training. 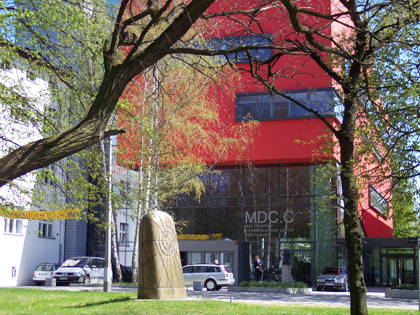 German veterinarians can claim credits of the Academy for Veterinary Education (ATF Stunden). You can contact the TT2010 registration office (tt2010@transtechsociety.org) and we will prepare the respective document confirming your participation in the conference. This document can then be claimed on the last day of the meeting at the registration desk. If you are not from Germany, please check with your local authorities, whether or not the meeting will be accepted as an educational training. On behalf of the ISTT Council it is my pleasure to communicate the decission regarding the TT2010 Registration Awards. Out of the 23 applications received from ISTT Members, which were carefully evaluated by all members of the ISTT Council, we selected eight applicants. The awarded ISTT Members with TT2010 Registration Awards are: Pouneh Maraghechi (Agricultural Biotechnology Center, Genetic Modification Program, Gödöllo, Hungary), Katarzyna Filimonow (Institute of Zoology; University of Warsaw, Poland), Geraldine Schlapp (Institut Pasteur of Montevideo, Transgenic and Experimental Animal Unit Montevideo, Uruguay), Silvia Nicolas (University of Leon, Animal Production I, Leon, Spain), Jinke D’Hont (VIB-University ghent Department of Molecular Biomedical Medicine, Ghent, Belgium), Suzen Lines (Rederivation Facility University of British Columbia, Vancouver, BC, Canada), Charlie Luo (MD Anderson Cancer Center, Houston, TX, USA) and Barbara Shields (University of Pennsylvania, Cancer Biology, Philadelphia, PA, USA). January 17, 2010 is the deadline for expressing interests to attend the announced TT2010 hands-on workshop (WS1), adequated for learning basic techniques in transgenesis. To indicate interest to attend the WS1 Hand-On Workshops please select the corresponding option at the time of registration. 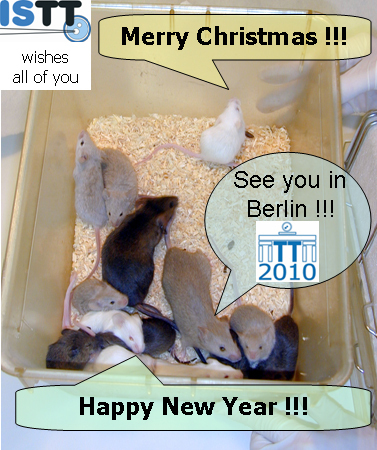 December 31st, 2009 is the deadline for submitting abstracts to be presented in the forthcoming TT2010 meeting, to be held in Berlin (Germany), on March 22-24, 2010. Please consider submitting your latest work using genetically modified animals to be discussed during the TT2010 meeting. Accepted abstracts will be published in the scientific journal Transgenic Research (Springer). Please visit the TT2010 meeting web site to browse the most updated list of invited speakers with confirmed attendance and the most updated agenda for the meeting, with indications of the sessions and topics that will be discussed. Jan Parker-Thornburg (ISTT Council Member) and Carlisle Landel (ISTT Secretary) attended the 60th National AALAS meeting representing ISTT, as an AALAS affiliate organization. 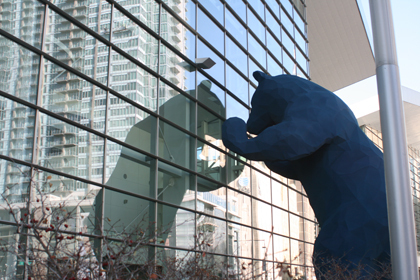 The meeting took place at the Colorado Convention Center, in Denver, CO, USA, on November 8-12, 2009. AALAS stands for the American Association for Laboratory Animal Science, an organization dedicated to laboratory animal research and the care and humane use of laboratory animals. It also provides considerable educational resources via its online AALAS Learning Library. This library provides a learning resource that is used for laboratory animal technician education and certification and/or for documenting the training of research personnel. Colorado Convention Center. The giant blue bear looking through the windows is a bit of whimsical public art. The annual meeting is aimed primarily at workers in the field: students, laboratory animal technicians, veterinary staff, animal facility managers, and regulatory personnel. There is a limited scientific poster session, mostly again dealing with animal care and welfare, and one session (usually) devoted to some overarching scientific theme (in this year’s case, diabetes). The rest of the meeting sessions involve workshops or sessions devoted to animal welfare, regulatory compliance, public education, biomedical research, medicine or methodology, and facility design, management or operation. There were several thousand attendees. The 60th National AALAS meeting also featured a very large vendors’ exhibition hall with hundreds of exhibit booths. ISTT had one of these booths in the section reserved for affiliate organizations. 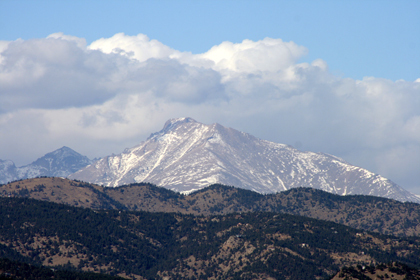 Long’s Peak, Rocky Mountain National Park. Jan and Carlisle were able to do some sightseeing. 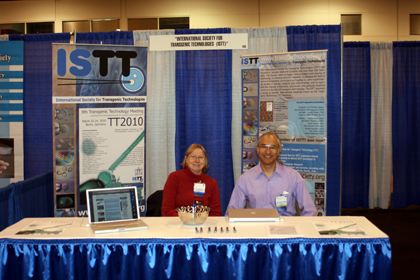 Manning a booth in the exhibit hall, Jan and Carlisle answered questions about ISTT, fielded queries about potential sponsorship from vendors at the exhibit hall, and even registered some new ISTT members. The ISTT booth also served as an informal meeting place for current ISTT members attending the 60th National AALAS meeting. ISTT looks forward to solidifying its partnership with AALAS.